The Truth About Hypnosis - Can You Really Put Someone “Out” Just Seconds After First Meeting Them? 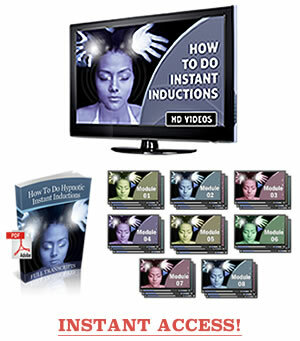 FREE DVD - "How To Do Hypnotic Instant Inductions"
Seconds After First Meeting Them? Is it really possible for YOU to put anyone "out" (into a hypnotic trance) within just seconds of first meeting them? That's the gist of the main question I get from hundreds (probably thousands) of people around the globe. In fact, I literally spent years and tens of thousands of dollars devouring books, glued to hypnosis training videos and "ping-ponging" around the globe studying at the feet of the hypnosis "masters" trying to figure out how to do on-the-spot instant inductions. And if you were one of the fabled 10% who could actually use those “induction formulas” with real people in real life – you still needed about 5 to10 minutes to put someone “out”! Meaning you could only ever really use the inductions (to put someone “out”) if they had already agreed to give up 5 to10 minutes of their life to be hypnotized. And how many people are going to agree to that? Especially not strangers you meet in the street, in a coffee shop or in a bar. And I can now PROVE that you can do the same thing too. 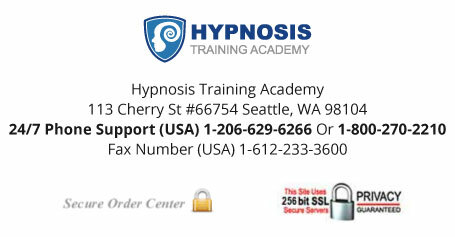 Even if you've never read a hypnosis book… never done any hypnosis training… and… even if you've FAILED at hypnotizing people dozens of times before (hey, it's NOT your fault, it's the fault of the training you've received). Again, I will PROVE it to you. Today. In a few moments from now. See I recently spent a couple of days in a professional recording studio creating a new streamlined DVD training program showing (through live demonstrations and supporting commentary material) how anyone – and I mean ANYONE - can do instant "on-the spot" inductions. And it shows you everything you need to do (from A-Z) to put a complete stranger into deep trance (as in completely "out") seconds after first meeting them. There are no goofy scripts you have to memorize. There are no fancy props you have to make use of. And there are no special skills or talents you have to have prior to watching the DVD. Actually, I suspect a lot of hypnotists on the "teaching circuit" will be rather annoyed I'm releasing "The How To Hypnotic Instant Inductions" DVD for FREE (you just cover the shipping and handling). Because the secrets (and live demonstrations) I'm making available to you in this DVD are superior to the material sold for $200 (and more!) by other hypnotists in their courses. Bad news for the other hypnosis trainers; excellent news for you. My proven hypnotizing formula and "hypnotic context" that has to be followed if you want to do instant inductions with the smoothness and precision of a Swiss watch. A simple thing to do with your eyes that "freeze frames" your subject's critical thinking – allowing you to plant hypnotic suggestions directly into the limbic (non-thinking) brain. How to do a completely "invisible" (to your subject) compliance test – so you know whether or not your subject's subconscious is receptive to going into an instant trance. A predictable and non-evasive way to get past your subject's hyper-sensitive "brain guard". What to do to the back of your subject's neck (or their forehead) to "litmus test" whether they trust in you enough to follow your instant induction commands. How to leave your subject with a "hypnotic gift" – so they come out of the hypnotic trance a more positive and resourceful person. What to look for in your hypnosis subject to verify that they are having the internal experiences you are directing their unconscious mind toward. The KEY difference between "hit-and-miss" hypnotists and the TRUE MASTER hypnotists – once you know this "rolling" secret you never have to worry about getting humiliated due to an unsuccessful induction. I don't want to mislead you though. Just know you won't become a world class hypnotist just by watching The How To Do Hypnotic Instant Inductions DVD. However, you will most definitely be able to put someone "out" (into full DEEP trance) within just seconds of meeting them. I guarantee that. Just by watching the DVD and following along with my demonstrations. And that holds true even if the "subject" is hostile toward you… has a mind like a jackhammer… or… tells you upfront nobody has ever been able to hypnotize them before. Maybe that all sounds like an exaggeration. And maybe (probably!) you're skeptical. Hey, I don't blame you. That's why I'm making this DVD available for FREE (just cover shipping and handling). I'm not charging up to $200 for the material (like other hypnosis trainers are for lesser quality training courses). If at ANY time in the next 60 days you are not 100% thrilled with the training and associated material… if you aren't putting people into trance left, right and center… if your friends are not going "Wow, what in the world, did you just do there?! "… just let me know with a quick email and I'll refund you the shipping and handling fee. There's no way you can possibly lose. Remember it took me a period of about 5 years… thousands of miles in air travel and tens of thousands of dollars in out-of-pocket expenses… to finally figure out the most effective (non-detectable) way of doing instant inductions – to put anyone "out"… anywhere, anytime, anyplace. Now you can kick back, watch my DVD (and get INSTANT ONLINE ACCESS to the digital version which will be with you in moments from now) and, if you want, be putting people "out" (into DEEP trance)… Before The End Of Today! Why am I giving this away for FREE? (Especially when other hypnosis trainers are charging up to $200, for lesser quality training material). 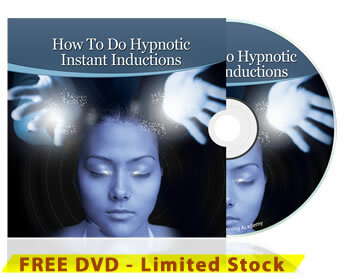 By giving you the DVD for FREE and only asking you to cover the shipping and handling, I'm putting this training within easy reach of just about anyone who has an interest in learning how to do hypnotic instant inductions. There's so much misinformation and myths about hypnosis (and especially instant inductions) that it's virtually impossible to know who you can TRUST to "really have the goods". I see too many people get misled and burned by false information out there. That's why I wanted to DEMONSTRATE and PROVE to you that hypnosis (and especially instant inductions) do not have to be difficult, time consuming or expensive to learn. I understand that you're probably skeptical about your ability to do instant inductions with complete strangers. I would be too if I didn't know what I know now. 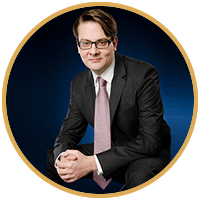 So, I wanted to bring the price down to a level that skeptical (yet intelligently curious) people who have just come across me would be prepared to invest at. 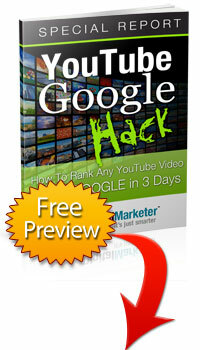 However, I am only testing this FREE DVD offer for a limited time (just cover shipping and handling). Soon, perhaps any hour now, The How To Do Hypnotic Instant Inductions DVD may be added to one of my higher-end programs. Meaning the only way to access it would be to invest anywhere from $200 to $1500 (depending on the programs it is added to). P.S. You won't even have to wait until the DVD arrives, as I'll also give you INSTANT ACCESS to the digital version of this training. online digital version as well! Hold on… I don't want you to leave empty handed. In fact, I'd to give you a copy of this report absolutely free! If it is not as amazing as I say it is all I ask is that you give me some feedback on what you think is missing… BUT, if you agree that it is amazing just come back after the fact and pay me the $6.95. All you have to do to get free instant access is enter your email address and choose a password below the click the happy "Get Access Now" button… that's it! There is absolutely no credit card required to access this report and you'll be charged $0 for the preview. Just enter your email address for your user name and create a password for free instant access to this report right now. All I ask is that if you like the report as much as I think you will do the right thing and pay me the $6.95. Again, no payment information is required.